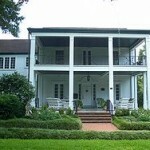 The Leu Gardens were started by Mr. and Mrs. Harry P. Leu, who in 1936 purchased Leu House and 40 acres of land. The Leus traveled all over the world and brought back many exotic plants and many varieties of camellias for their gardens. 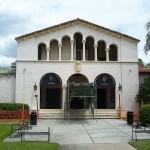 In 1961, the Leus deeded the house and the gardens to the city of Orlando. At the heart of the Gardens is Harry and Mary Jane Leu’s home, known as the Leu House Museum, which has been meticulously restored and is on the National Historical Register. Guided tours of the Leu House, illustrating turn-of-the century Florida living, are available on the hour and the half-hour. Tour guides have frequently seen apparitions in and around the mansion, particularly on the second-story porch, where footsteps have also been heard when no one was around. Went on a tour of this very same house. As we approached the kitchen, I physically watched as someone’s hand pulled the side-door (leading to outside) closed. However, it didn’t make a sound. As if someone was sneaking out before our tour group got there. I didn’t think a single thing of it until we walked past the same door a few moments later and I notice the door is padlocked from our side! How could someone walk out but lock the door from the inside pad lock without re-entering the house? I bright it up to the tour guide who told me she isn’t supposed to talk about the hauntings but said that she felt that a presence still walks the house. She also went on to say that nobody likes to go into the cellar but wouldn’t disclose why. Only that the maintenance man/woman even sometimes keep their distances from the cellar. I’ll never forget when I saw this!